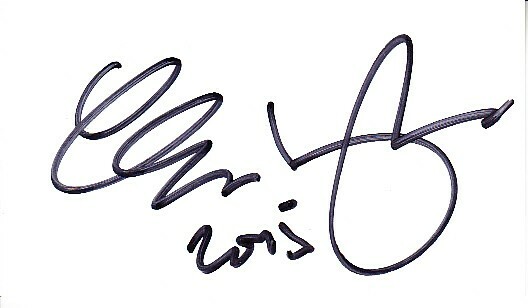 Roughly 2 by 3 1/2 inch plain white paper (back of a business card) autographed in black Sharpie by actor and comedian George Lopez, dated 2015. Obtained in person, with certificate of authenticity from AutographsForSale.com. ONLY 2 AVAILABLE FOR SALE.